Perhaps we're not ready to move back to petrol? Just spent a week behind the wheel of the UK’s most successful family car, the Nissan Qashqai. It was good to be reacquainted, because I’d been pretty positive about it after my first drive, back in February, and I just wanted to reassure myself I’d not been too swept away by the whole launch brouhaha. The car I’d been the most interested in at launch, and which I didn’t get the opportunity to drive, was the 1.2-litre petrol model. Here was another small displacement, high-efficiency model, which promised diesel-like economy, without the compromises one has to put up with when driving a car fuelled from the black pump. I’ve always liked the idea of driving a petrol with diesel-like economy, because no matter how good diesels have become in the past few years, you do still have to put up with narrow power bands, sluggish throttle response, and the constant threat of getting your hands filthy or your shoes damaged every time you fill-up. 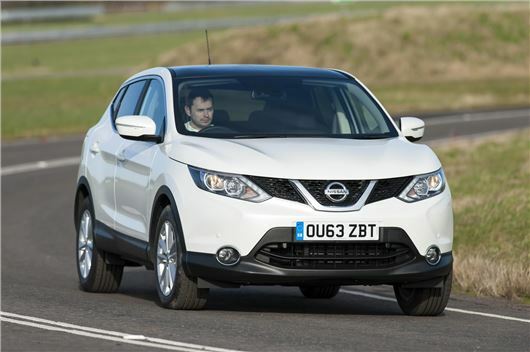 The average fuel consumption of the Qashqai in give-and-take driving was 35mpg. I’d expect 50mpg or more from a diesel – something that’s backed up by the Renault Captur 1.5dCi I’m currently driving. And I have to say that during my week with the Qashqai, I did find myself quietly impressed with how this tiny engine managed to pull along such a substantial car, seemingly with little effort. And how, I could enjoy nice linear power delivery, and a near silent idle. Yes, for those moving from diesel back to petrol, there will be a period of acclimatisation – where you once again get used to actually experiencing and enjoying engine revs, as opposed to fearing them – but with that out of the way, it really is a more civilised way of travelling. Remember, too, your neighbours will thank you too. Diesels may well be considerably quieter than they used to be, but the sound they make is still ugly – and if you’ve ever walked down a busy high street, you’ll know exactly what I mean. There's also the issue of localised pollution. So why the slightly negative tone of this piece’s title? Well, the average fuel consumption of the Qashqai during this period – in give-and-take driving was 35mpg. I should say, I did not drive it particularly hard, and really did just give it a real world work-out, of urban, extra-urban, and fast moving motorway driving. And really that’s not good enough. In similar circumstances, I’d expect 50mpg or more out of a diesel version – something that’s backed up by the Renault Captur 1.5dCi I’m currently driving. So, what’s the answer? I do wonder if small petrols really are the way to go. What gives these cars an advantage over, say, a 2.0-litre naturally aspirated power unit in the same installation, developing broadly similar power and torque? What about Mazda’s assertion that larger, more cleverly tuned engines, are more effective? Remember Mitsubishi’s GDI or Honda’s VTEC-E systems? Weren’t they fiendishly economical without the need for a turbo? I do think petrol is the way to go, but I’m yet to be convinced by the abilities of these pint-pot power units in larger cars, aided by turbos. I loved the Ford Ecoboost engine, I really did, but because it sounded so good, and thrived on revs, I ended up driving it to around 35mpg. Which is where we’re at with the Qashqai. So, is petrol still compromised in European markets? Are we still wedded to diesels for the time being? And will hybrid drivetrains finally restore the balance in petrol’s favour? I await with interest to see how it pans out. Much depends on your annual mileage but for most non business users, petrol is the choice; diesel car costs more, diesel costs more, diesel needs twice yearly oil change and possibly extra service over petrol. Then you have the dreaded limp home mode, call put charge and heavens knows what. The UK tends to be smaller cars than it did previously, thus smaller petrol turbo engines are ideal. In what way Don? Most "small cars" are larger than the previous generation. I agree that larger naturally aspirated engines are the way to go. Less stress and more realistic real world mpg figures. Will the forthcoming 1.6 Dig-t will be more economical if not driven hard? Or must I save up for a Lexus NX to get a petrol SUV with a reasonable performance / economy ratio? Thanks for a great article - I couldn't agree more with your sentiment - I also think that petrol is the way to go, especially for around town/urban area because of the health problems. I'm also hopeful that petrol with newer hybrids will be our salvation!